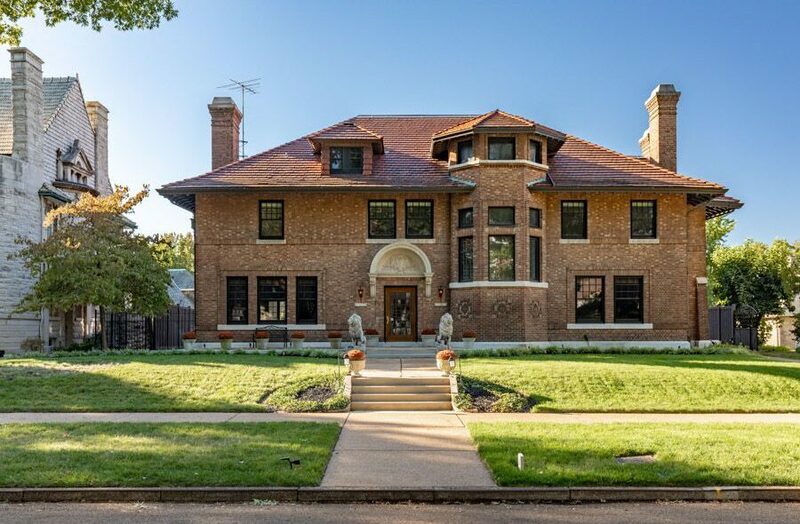 Elegance and gracious spaces make up this historic home on one of St. Louis’ finest streets. Recently the home has undergone a complete modernization while preserving the home’s superb architecture. The foyer features marble floors & an ornate ceiling. The kitchen is new & expanded featuring quartz counters, custom cabinets & Thermador appliances: 66” refrigerator, dual-zone wine fridge, 8-burner range & dishwasher. Elegant dining room with fireplace and French doors that lead to the backyard. The living room has wood paneling & a fireplace. Cozy den off of the foyer with fireplace. Bright sunroom. 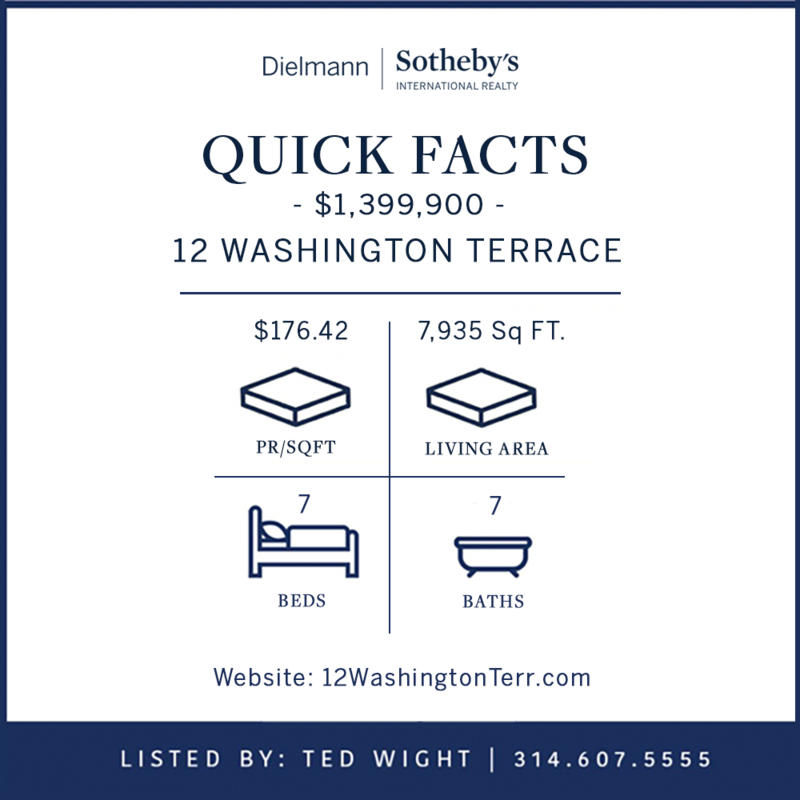 The 1,000 sqf master suite is a dream with his & her walk-in closets with built-ins and a luxury bath with freestanding tub & large glass enclosed double shower. You will appreciate the coffee & wine kitchen with a dishwasher & microwave. Architectural pool. Oversized 2 car carriage home with an updated 2-bed apartment featuring a new kitchen and bath. Fenced backyard & gated drive.